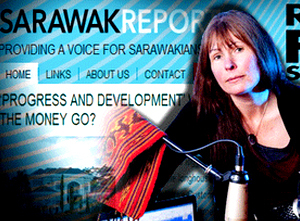 Winifred Poh who writes for Free Malaysia Today has taken up the challenge. Some weeks ago, she had written a piece (see here) which Clare Rewcastle of Sarawak Report subsequently took offence (see here). Today at Free Malaysia Today, she writes on the ugly story about the faking of evidence in Datuk Seri Mahmud Abu Bekir Taib’s divorce case. And who had a hand in it.